Stillwater Weddings - Pricing and other venue information. 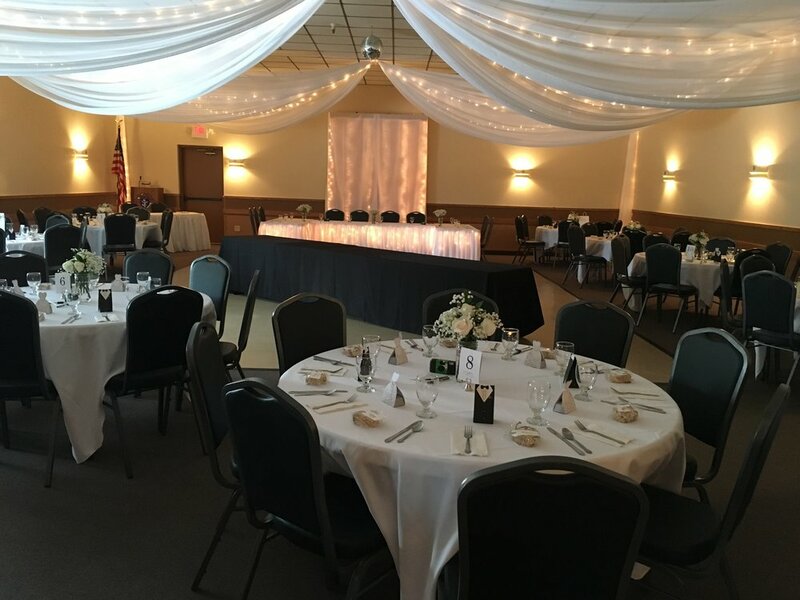 The Stillwater KC Hall has been hosting weddings and special events for over 30 years. We pride ourselves in providing excellent service and beautiful facilities. The KC Hall is a 4000 square foot facility in historic Stillwater, MN that can accommodate up to 225 guests. There is ample FREE parking on-site. The KC Hall's main entrance is street level so there are no steps for you or your guests to navigate. Hall rental rates include tables, chairs, setup, use of kitchen and patio. We provide a fully staffed bar on-site. Our bartenders are ready to help your guests enjoy their evening. All Alcohol MUST be purchased through the KC Hall. No Outside Alcohol is allowed! No exceptions. The Stillwater KC Hall provides quality catering for your event through our preferred caterer: Scheel's Catering. See our catering page for more information. We do allow renters to hire their own Licensed Caterers for their event, please contact the Hall Manager for details. All catering must be by a licensed caterer. Security may be required for your event. The Hall Manager will discuss this with you during your booking.